sylvie sits! | everything will turn out alright. ← one month red lipstick challenge. sylvie can sit up unassisted for short spurts of time. just before i took the following video, she sat on our bed for almost a full minute! this amazes me because just the day before she couldn’t sit up for longer than a second or two at a time. it’s incredible how fast she learns and adapts. 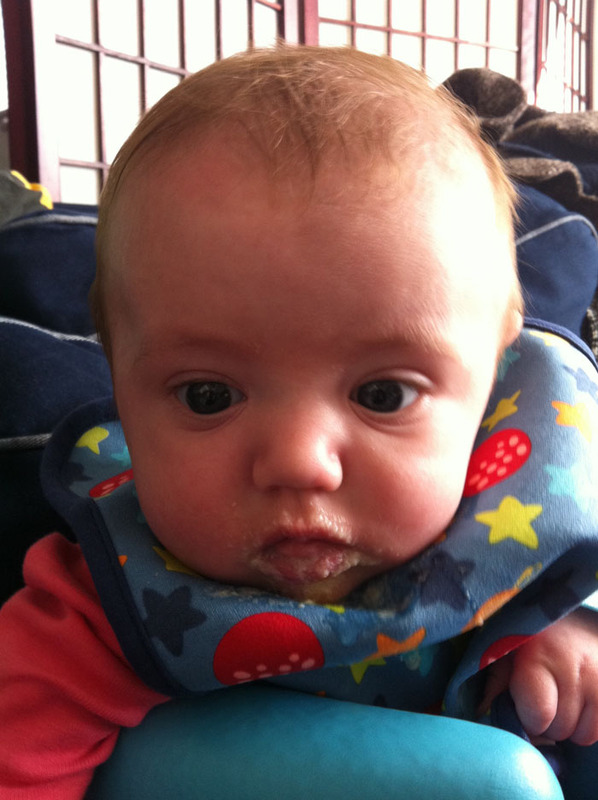 we started spoon feeding her brown rice cereal just a few days ago, and she’s already so much better at it. 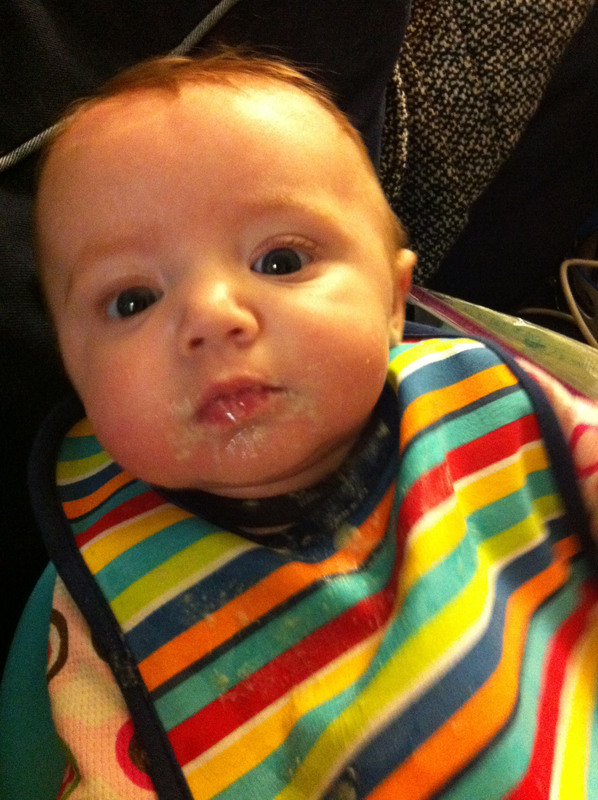 i must say, a face full of rice cereal makes for some awfully cute pictures. i can’t believe my little bean will be 5 months old tomorrow, but more on that in my next post! here’s a picture of day two of the red lips challenge. i wore them to go to goodwill, target, and barnes and noble. 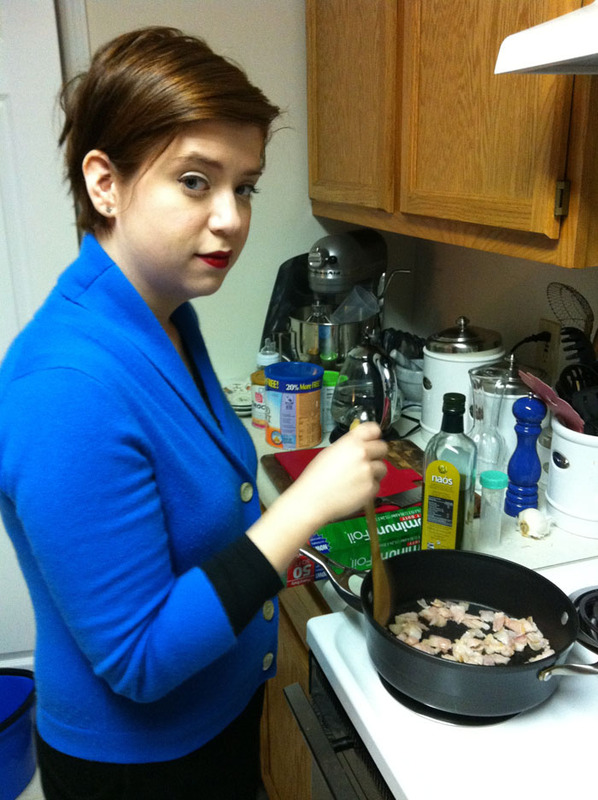 then i cooked some dinner. this is a small town and my bright lips got me quite a few strange looks. oh well. i love them and that’s all that matters! i hope everyone has a lovely weekend! This entry was posted in Uncategorized and tagged 5 months, red lips, video. Bookmark the permalink. what big changes for sylvie!! i will be so interested to read how sitting up changes things in her little world–that was the point when natalie started to develop a much bigger personality, i think it really changed her outlook on life! and, btw, love the red lipstick! Thanks! She LOVES sitting up. I can’t wait until she gets really good at it! I think you’re right about it allowing her personality to develop more. i love when she falls over! so cute. i’m sure by next week she’ll be a pro. it’s amazing how quickly they master things. She’s already getting so much better at it! She can sit up for a while on the floor, but the bed’s a bit tougher! LOVE those lips. You look so chic.